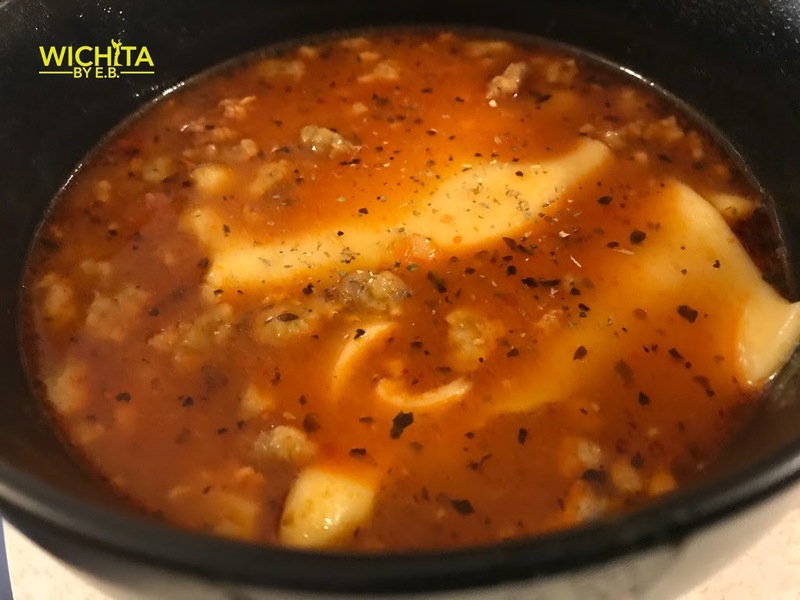 Crockpot Sundays: Lasagna Soup – Wichita By E.B. This is another extremely easy recipe that takes seconds to minutes of prep work. All you need is Stouffers Lasagna found in the frozen aisle and a bunch of chicken broth and within hours, you’ll have Lasagna Soup. Here’s the actual recipe if you want a cleaner version of it. Once you get the lasagna, let it thaw for a while to the point you can cut it with a knife. I highly recommend you cut it into one inch slices. The original recipe calls for it but I was too lazy and didn’t bother. This will make it easier to eat later so you aren’t trying to break up the lasagna noodles later. Place the lasagna in the crockpot and cover it with chicken broth. Cook on high for three hours and you’re done. You can then season it with Italian seasoning or garlic salt and top it with mozzarella cheese. The end result was a delicious bowl of soup and a recipe that I’ll certainly be using again. This was one of my favorites that I’ve made in the past four weeks. I’m always open to any recipe you have as long as they require little effort or work. You can leave them in the comments, post them on social media or e-mail them to [email protected].